Diane Kaern is an expert in business operations, sales, and finance with experience at global companies such as Siemens AG and Hewlett-Packard. While working as a manager at Siemens AG, Diane Kaern initiated and conducted a workshop to assess and identify business risks and opportunities. The practice of evaluating and identifying potential risks that could negatively impact business operations or finances is known as business risk assessment. It is a preventive technique that helps organizations be prepared for disruptions and usually includes a scoring component to rank risks so that the most severe risks can be prioritized. 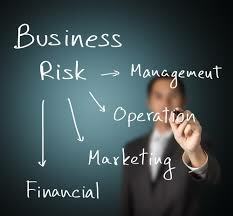 Threats addressed through business risk assessment can be generally categorized as internal or external. Internal risks are usually more specific and can be addressed quickly as they originate from within a business. Some examples of internal risks include poor employee performance or failure of machines in a manufacturing business. External risks are more difficult to control and originate outside of a firm. These include risks such as a new competitor entering the market or an economic downturn.